DOCTOR WHO: Companion Pieces - The TARDIS | Warped Factor - Words in the Key of Geek. 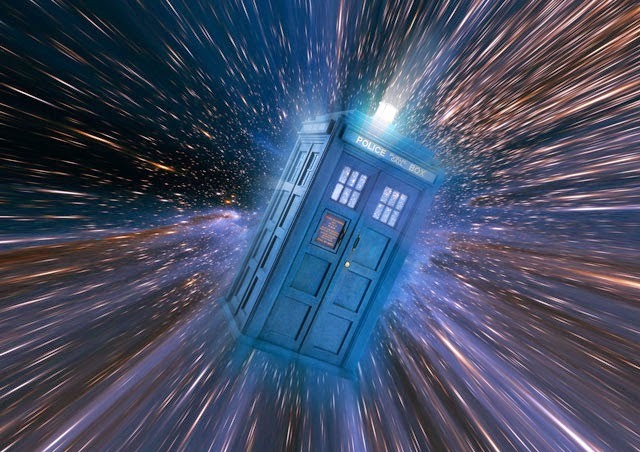 Christopher Morley pays tribute to the Doctor's constant traveling companion, the TARDIS. If we covered every single moment then, like the TARDIS herself, we'd be here for almost 51 years so let's look at some of the 'Old Girl's' highlights. Got all that? Excellent. We've even seen the TARDIS Matrix, the heart of the ship, implanted into a human host body ( The Doctor's Wife). But what would happen should a Time Lord seek to merge with his choice craft during the regenerative process? That was the question posed by The Rogue TARDIS ( a planned Fifth Doctor story, written by Barbara Clegg & scheduled for Season 21, Peter Davison's last in the role). Precious little information actually survives regarding that story, though similar ideas are explored in the Seventh Doctor audio adventure Unregenerate. Set in the aftermath of Time & The Rani relatively soon after his most recent regeneration, the Doctor discovers that the Celestial Intervention Agency is secretly experimenting with the idea of forcing TARDIS consciousnesses into living physical bodies. The first extended look around the battered old box comes in The Edge Of Destruction. Up to this point viewers have known the ship only as a means of getting the Doctor & his companions from A to B. Here, though, we get a first glimpse of its implied sentient nature. It's trying to warn them that something bad is coming, & the suspicion that the First isn't quite as accomplished a pilot as he perhaps should be is confirmed when the Fast Return Switch is revealed to have been stuck all along. Once its fixed, though, everything's back to normal- & so begins Marco Polo. Following his first ' renewal' we see another handy feature in The Krotons. The HADS, or Hostile Action Displacement System, allows the TARDIS to move itself independently should it come under attack! Its not just the Doctor who has a TARDIS, either. They're standard-issue for Time Lords, which means we'll later see the Master ( whose chameleon circuit still works, allowing his to take forms ranging from a horsebox to a grandfather clock & beyond - more on his/her TARDIS here) & the Rani ( who tended to stick to a pyramid form) use models of their own. Put simply it is indeed the Doctor's ' home' ( The Tomb Of The Cybermen). 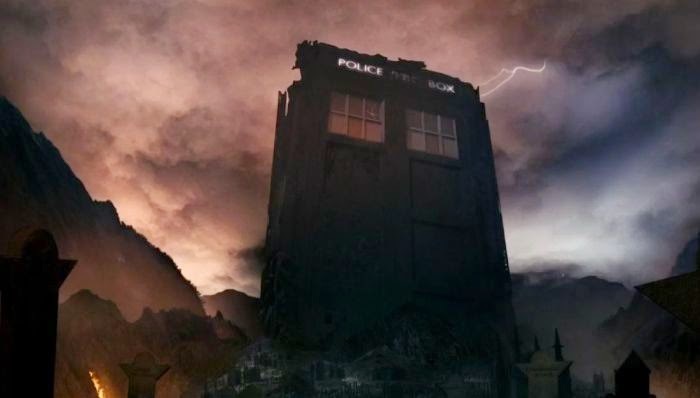 On Trenzalore ( The Name Of The Doctor) it served as his grave. It even has a handy Zero Room, for those times when you just need a little extra post-regenerative time to recover ( Castrovalva). Now to move on to a question which has no doubt excited those of us who like a little Who with our tea on a Saturday evening. Could TARDISes, or at least a similar form of technology, one day become reality? Several enterprising souls have spent staggering amounts of time & money on attempting to build replicas ( see http://www.bbc.co.uk/news/technology-23363622). But a paper by physicists Ben Tippett & Dave Tsang appears to suggest that with the right knowledge you could actually build a full-size working Type 40! If such science floats your boat, take a gander at http://arxiv-web3.library.cornell.edu/pdf/1310.7985v2.pdf & prepare to have your mind blown. There is also, of course, Professor Brian Cox's The Science Of Doctor Who. He weighs on on the subject too. And if you do have a bash feel free to send us your pictures and/or postcards from the past/future!